Delicious yushoku I ~ ♪ pork canned spam musubi, spam sound too! 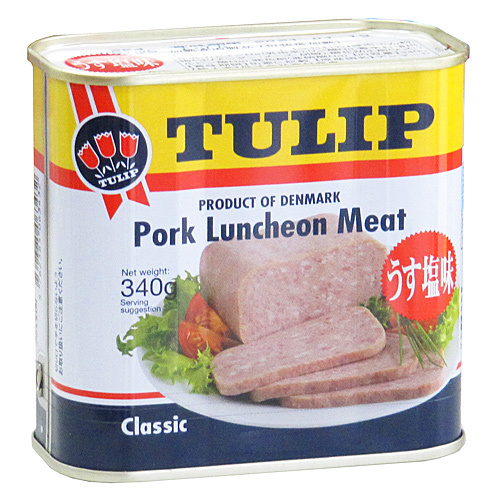 Spam luncheon meat takes less effort than time, convenient in the variety of dishes and delicious. Slice and bake just until lunch range from everyday dining are available. Please use instead of ham and meat too. Delicious served warm because it is cooked as well. Also can be cooked in microwave and oven. [Save how] Keep at room temperature. (Importer) Tomimura Shoji Co., Ltd.